Today at work, I was on my LinkedIn replying to a message from someone that I met at an event in Cambridge, MA. As I looked over my own profile, I noticed that last year in June, I was at my very first job out of college, Wakefly. I started to go down memory lane and decided to write this post. If you can’t tell where I am in this picture, I am pretty much in the middle of everything! 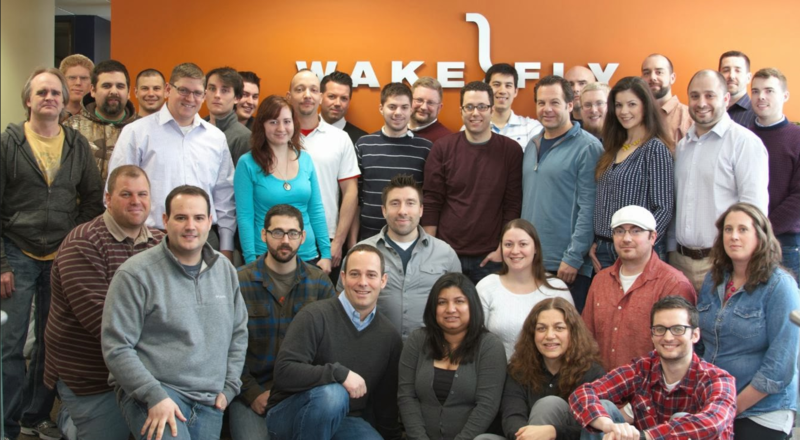 Everything that I’ve accomplished in my SEO career will always be traced back to my time at my first job, Wakefly. Here is my story. By all accounts, I probably should not of been hired by Wakefly to run any SEO campaigns. 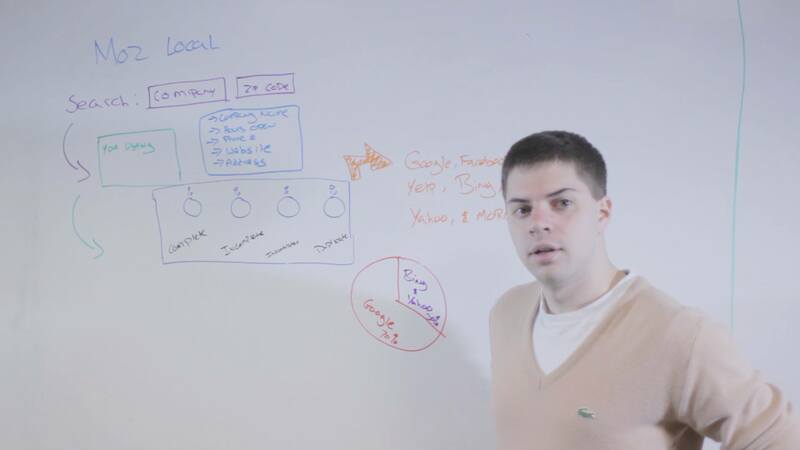 I was a 22 year old who honestly had no idea what SEO was about. In fact, I thought Wakefly was going to be a pyramid scheme place, so I actually had my swimsuit under my suit just in case the interview turned bad. People think that I kid about that, but I was very prepared to walk out and go to the beach. Anyway, I went to the interview and started to talk about the usual stuff. I literally had no idea what SEO was, but the person interviewing me asked me about my YouTube channel that I had in college. Forgetting that I was interviewing, I took his laptop from him to show him the data from it. I explained that I don’t always get it right, but I still try and get better from the data. I am not sure what else we talked about after that, but he walked me to the door after about 30 minutes and flat out said if I was interested in starting. I was shocked and probably said something incredibly stupid like “now”, but he told me “see you in 2 weeks.” All of a sudden, I had a job out of college. Let me tell you something, I think that was one of the hardest things I have ever accomplished in my life. Getting hired out of college is crazy difficult! This is the link to the YouTube channel that I had in college. 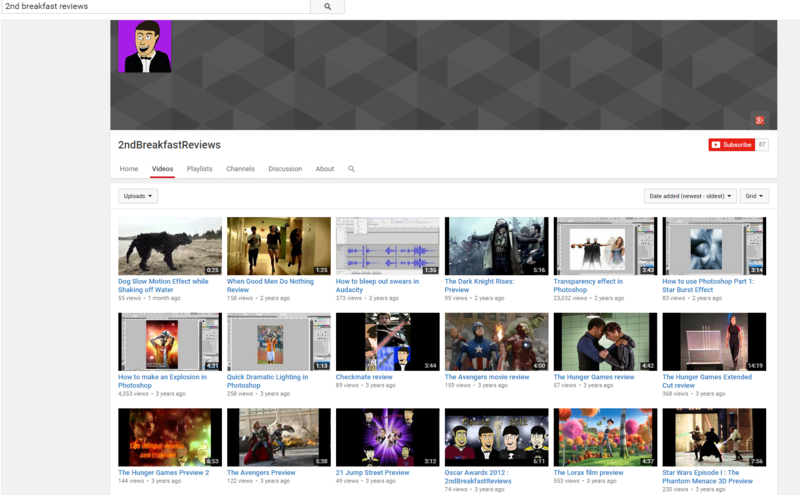 I reviewed movies with my friends, but I also did my own reviews on things like audacity, Photoshop, and other things. My god, I can’t believe I was not fired during the first couple months on the job. I did not know anything about SEO and I was literally leading most of the accounts. I was going on sales calls trying to talk about SEO, but I did not even know what I was talking about. I felt like I was on my own island when I started to be honest. I felt like everyone was very smart and moving at a speed I never could even imagine getting to, so I knew something had to change if I was going to keep my job. I took on a local SEO project in my hometown to work on. Basically, I knew the site could not get worse with me working on it, so I could really experiment with a lot of different things. Working on a side project while working full time is something I strongly encourage. I needed the confidence badly. The first few months I really felt overwhelmed, scared, nervous, and had panic attacks about being let go one day. While working on the side project I mentioned above with my full time job, I started to see rankings increase, conversions increase, links acquired, traffic increase, and more from that side project! My confidence started to build and I believe so did the confidence from my boss and others within the search marketing team. Again, I was still very new to all of this, but I was not losing accounts at the alarming rate that I was when I started. Luckily, Wakefly hired Mark Marino who really became my crutch. I was the youngest in the team by a few years, so I really looked at Mark as a leader. I was also the only person on the SEO team at this time. My team consisted of myself at SEO, and about 5 other people on the paid search side. 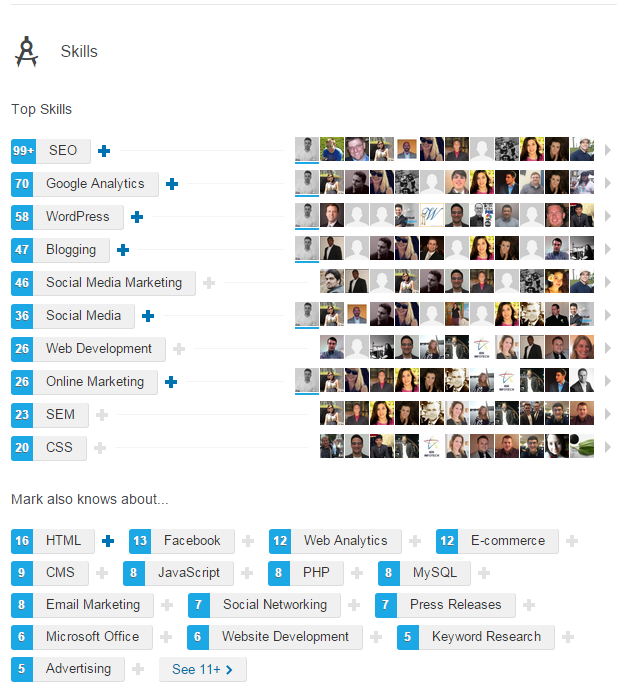 Here is a snapshot of the experience Mark has on his LinkedIn. Pretty good don’t you think? Mark came in with loads of experience. Mark and I quickly became friends and bonded over the same stuff agency workers pretty much always talk about. What accounts were awesome, which accounts totally sucked, what were the new trends in SEO, and much more. Mark really opened my eyes to the technical side of SEO which was something I actually had no experience in. Mark was very transparent with the tools he used and really guided me. The moment I got through my first year at Wakefly, I saw a lot of things change. I saw a really powerful synergy between the SEO team and the web development team. I saw the potential of where Wakefly was going and what I could contribute to it. In the year plus now, I started to feel the weight of being over worked. I guess it is a weird problem to have in business. If you are busy, you are doing well. If you are not busy, you are not doing well. I believe SEO became something that Wakefly had confidence in with Mark and myself, so it seemed like we were really selling SEO contracts at a higher rate. I knew I was still new to SEO, but I started to get frustrated with a lot of different factors. I saw a few people let go, I saw a promising SEO person come in to ultimately leave, I saw someone else come in who left, and more. Mark and I were pretty much left on our own for the entire time that we were there together, but man, we were both burnt out! Some of the reasons that we both felt burnt out was the amount of weight that we both had to carry. We were both so loaded with accounts that we could not even work on all of them. This did not help that we were trying to work internally on the Wakefly site and still help out with the sales team and SEO reports too. Not to mention, we were both given another internal project as well on top of everything. Mark and I were in regularly on the weekends just to keep up with all of the work. This was how our friendship got even stronger in my opinion. It is odd when I think about it. During those off hours, I think Mark and I had the most creative ideas come up with accounts and new tactics. So the weekends were not a complete waste of time, but I know for myself, I was starting to burn out bad. The old saying goes. Sometimes things need to get bad to get better. I suppose that happened here in hindsight. Roughly at the 1.5 year mark, we finally got the help we desperately needed. A new boss came in for Mark and myself. It was not so much the experience or SEO suggestions that he brought to us, but it was his calm demeanor when it came to agency work that made the difference. Our SEO team was then moved into the professional services side at Wakefly which was good. We had a fantastic leader that really wanted the SEO team to stay profitable for Wakefly. This was something that I appreciated. It felt like SEO at Wakefly was going in a new direction which was exciting! Another great thing was working with the videographer at Wakefly, Jared King. 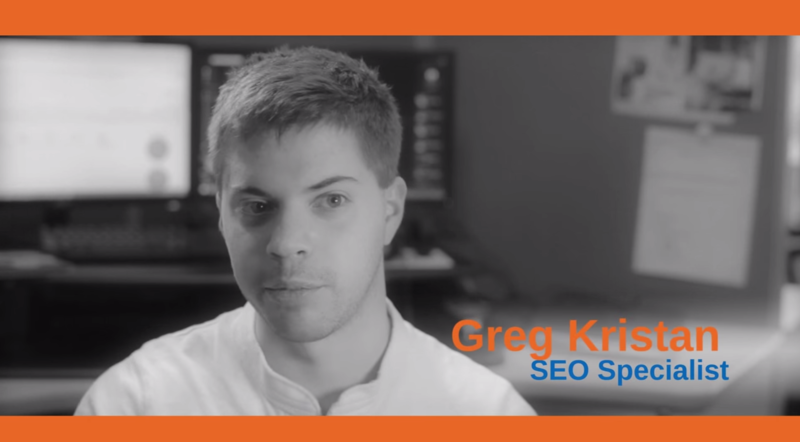 We worked on a few videos about SEO and I truly enjoyed all of it. 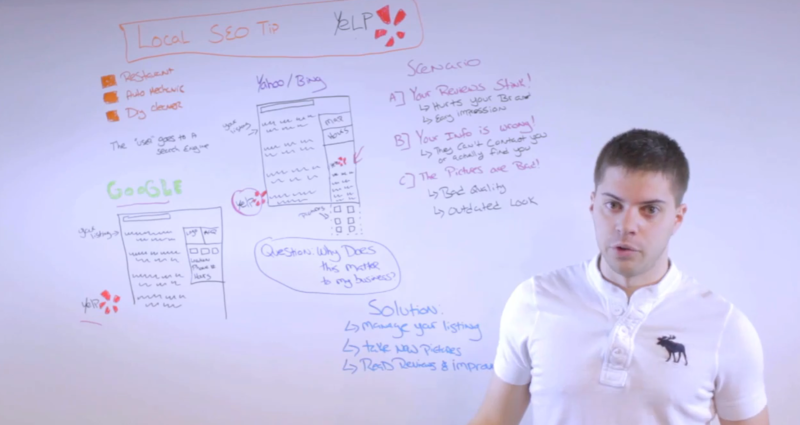 Here is a link to one of the videos that I did about a local SEO tip. The culture at Wakefly got to the highest for me during those finals 6 months that I was there. For me, I believe culture has less to do about darts, beer, or other things, I really believe culture is about aligning people together who are working towards the same goal and values. I felt like Wakefly was working to be the best SEM agency in Massachusetts and I was excited. The darts and beer were also pretty great. Also, I am a big fan of a casual dress code in the office. I love walking into work with flip flops, shorts, and a t shirt! Anyone who knows me saw me probably at my lowest in my professional career during the last 3 months at Wakefly. I am not going to name names, but I had three clients that completely burnt me out. With things starting to get better at Wakefly with the culture, I was given an opportunity for an in house SEO position in Boston. This was something that made too much sense for me not to take. First, I would be working in Boston. Second, I was moving to Boston anyway, so this would help with my commute. Third, I felt like I needed to do this. I felt at times I reached my growth at Wakefly and I needed to go somewhere else to continue to get better. When I got the offer letter, I remember I was about to tell my boss, Jason, and my coworker, Mark the news. Mark actually beat me right to it by announcing that he was leaving too. As a note, we did not go to the same place, but we both got offer letters from two different companies on the same day. I remember the feeling that went through me. Here is this great boss that made the last 6 or so months probably the best at Wakefly for me, but I was about to tell him I would be leaving. I decided to wait a day. 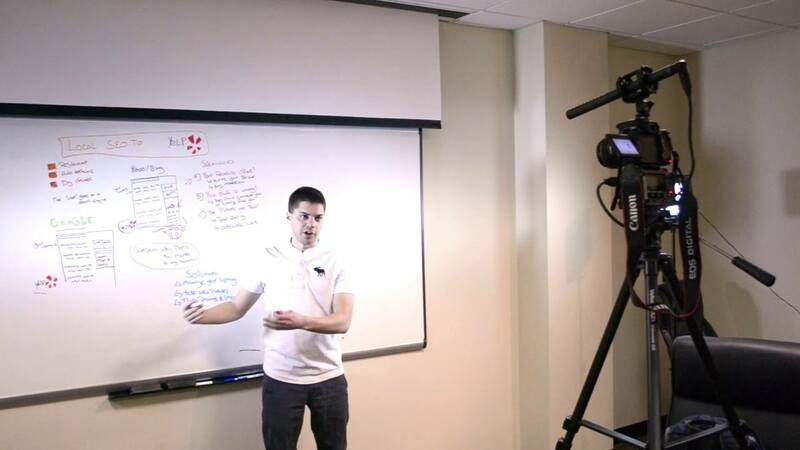 I instead worked on a few more videos around SEO. My goal was to share as much knowledge I could for whoever was going to take over for Mark and I. The next day, I let Jason know that I was leaving. He was losing his entire team of 2. I felt awful, but I needed to move on. I decided with Mark to extend our time at Wakefly by one more week to help transition both of our accounts to the new hire, Joe Gill, and the new intern, Amanda Tessier. I will be honest, I did not make a mistake leaving. Even though the job in Boston that I took to leave Wakefly turned out to be really bad, I needed to do that for myself. I learned a lot there in the short amount of time I was there, but everything happens for a reason. If I liked my job in Boston, I would of never looked for another job while I was there. If that was the case, I would of never discovered that Grasshopper was hiring someone for SEO. It truly was perfect timing. Since I started at Grasshopper in October 2014, I really believe my growth in SEO has jumped to unbelievable degrees. Working at Grasshopper has been amazing for me in every way, but I would not be here if it was not for Wakefly giving me a chance when I got out of college. So all in all, I want to thank Wakefly for what they did for me. Even though it was not perfect at times and I got frustrated a lot, I still recognize that I am where I am because of them.